It was an extremely random visit. I simply saw a road sign as I drove through Somerset, and the name rang a gardening bell. I had no idea what I was going to see - or how much I would enjoy my visit. My notebook of the time is very sparse in detail. 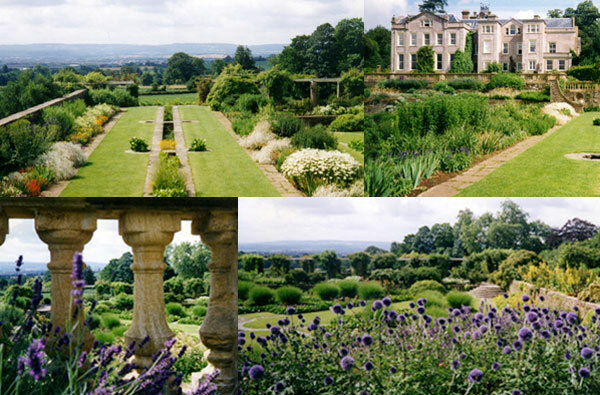 I usually dislike formailty and straight lines, but a rebellious mood I'd decided that Hestercombe was simply the best of all the English gardens I'd visited. I fell in love with the lovely purple cornflowers that grew by the old stone walls. I liked the rills. 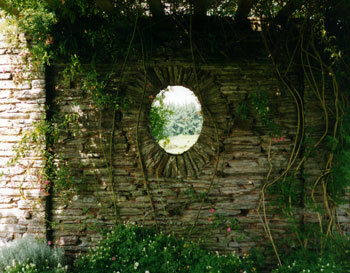 I thought the architectural garden design elements in the Hestercombe garden were stunning. The look was so different to the other rambling English cottage gardens I'd visited. I ignored the house. That's about it! 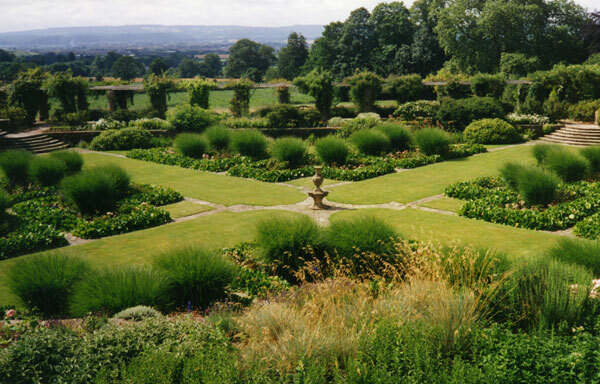 I found out afterwards I was seeing an important Gertrude Jeckyl collaboration with architect Sir Edwin Lutyens - two VIPs in the history of the English garden.